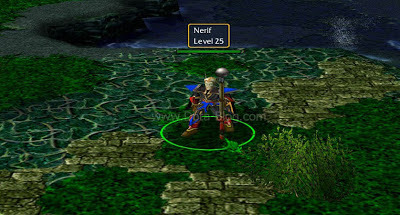 Nerif, the Oracle Guide Build and Strategy. The Oracle is a Sentinel Intelligence hero which is released in the DotA 6.78, together with Earth Spirit. Oracle has a unique skill set which need you properly cast one skill after another to get the maximum output. Thanks to that, Nerif can be both fit a nuker or support role. Note: Damage is nonlethal on allies. Temporarily alters the target ally's destiny, delaying all damage, healing and regeneration effects on them until False Promise ends. Ally is granted invisibility while attacking and moving. Removes all negative status effects when applied. The delayed healing is doubled when it is provided at the end of the duration. Oracle is a support hero by nature and have a very flexible build. But one of the most popular build is Dagon. Combined with Purifying Flames, Fortune's End and Dagon, you can get a huge burst damage which can instantly kill heroes with less than 1000 hp! Other than that, if you want to truly be a supportive hero, buy Euls, Force Staff or Mekans, depending on what your team needs. And you should note that this hero is really squishy, so grab 1 or 2 Bracers to pump your hp! Fortune's End taken first as the purge can help you net a First Blood. The first skill to be maxed is Purifying Flame, as it can be a deadly nuke combined with Fortune's End and can be a strong heal combined with Fate's Edict. One thing you should remember, the Purifying Flames cooldown is really short (3 seconds!). So you can cast it twice to your enemy before combined it with Fortune's End. 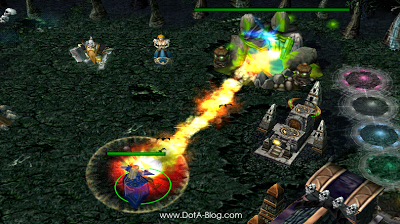 Or if you have Fate's Edict level 2 or above, you can cast the flame 2 times to heal your ally. False Promise is taken whenever possible. It's a very strong skill. The problem is, many players tend to cast this to their self in a team clash. If you do that, please don't, cast this skill on your carry hero instead. You will want him survive and carry your team to the victory. But if you play as a nuker, use False Promise to initiate, they won't know what hit them before too late. False Promise, Flame, hit, Flame, Fortune's End and Dagon if you have it. This combo usually will kill most of them. Cast Fate's Edict before the Purifying Flame to your allies to let them get the heal without the initial damage. You can do this as long as the Fate's Edict duration not yet ended. Cast Purifying Flame to damage your enemies and immediately cast Fortune's End to remove the heal. 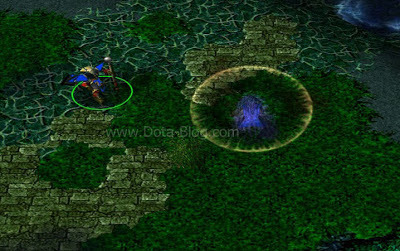 Use False Promise and when the duration is almost over, use Dazzle's Shallow Grave or Abbadon's Borrowed Time. Can also work with Reincarnate. Don't cast Fate's Edict to your enemies if you know your allies will cast another skill (Lion's Finger, Lina's Laguna Blade). They won't do any damage! While Fate's Edict can save your allies from magical damage, never ever cast it in your hitter! Mortred or Void will be useless if they cannot hit the enemies. I've found a skill synergy, use 2nd skill first and ally will become magic immune then use 3rd skill twice. SO the ally receive only heal without taking any damage. For item build I temporarily build orchid as it's really good for mana regen and damage. This is for physical dps build. Use 2nd skill and the enemy will receive 50% amplify to physical damage and the silence + amplify from orchid will make it better. That's hurt. Don't forget to use ultimate skill and 3rd skill when attacking. I agree with the dagon build.. u can 1hit combo the enemy if you have dagon.. even on lvl 1.. just farm untul you have your dagon.. and then always nuke their carry.. and they will be fucked up in early and mid game.. and their carry will be useless in the late game.. if, the game will be late game.. for me, Nerif is a good carry..
the 2nd and ulti deffinitely needs to be nerfed. 9 second of invisibility+shllow grave+ ally purge with 20 second cooldown? even many people (at least not me) consider slark's 5 second shadow dance as OP. why do you make such skill? seriously. if you could make the cooldown longer and less activation time, then it should be fine. 5-6 second is more than enough. for the 2nd skill, it's just the same as pugna's decripfy with longer duration and more amplify. make it's amplify scaled at least. if an enemy buy dust of appearance it will be destroyed easily. KEEP JOIN ENJOY PLAY WITH US !! event rank nyak menarik banget bos dijamin dah !! quelling blade for ranged hero ? I play oracle often. i tried taking damages from tower as well as heroes and fountain while in my ulti. I managed to kill myself like 4 times. I want to know the maximum damage in-take and stacks of heal to kill myself like suicide. Often i just guess if there's no choice left but to suicide. didn't take into consideration the "damage reduction" ddnt you? he is by far the best mid lane hero as of now (can be contested by Puck, Skywrath Mage and Nevermore). Early lvl nukes and great utility in False Promise. So GG. When this hero will come to Dota 2, I have a feeling there will be a lot of failures from players using it + uploading it on dotacinemas in fails of the week.